Flying to Iceland takes a lot less time than you might expect – two and a half hours from the UK to be precise. Amazing – you can be in what feels like a completely different world after a short plane hop. I didn’t realise before this trip what an accessible and manageable destination (even with kids) Iceland would be. You don’t fly into Reykjavik, despite what it says when you book the flight. The international airport is in Keflavik, a (mere) 30 miles away from the capital. Taxis cost an absolute fortune, but it’s not all bad news. There is a wonderfully reliable bus service from the airport to the centre of Reykjavik. You catch the Flybus coach outside the terminal, it connects with all the international arrivals and departures and costs £10 per person each way (under 11 years are free). It has a big list of stopping places too, so more than likely there is one close to your accommodation. If you stay in Reykjavik, walk everywhere. It is small, compact and a great place to stroll around. You don’t need to use public transport and definitely don’t need a car. We walked miles and miles exploring this gorgeous city. 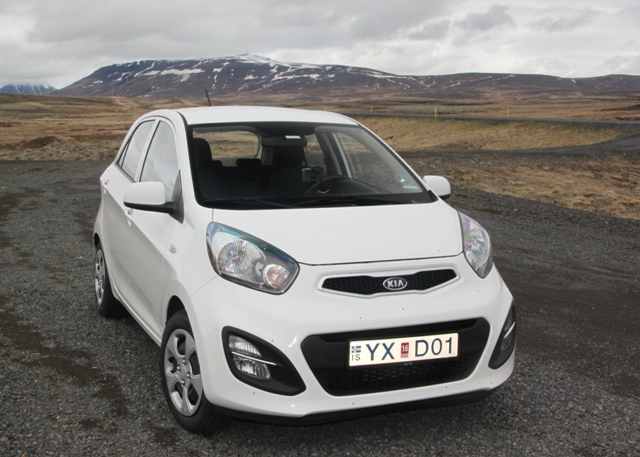 Definitely hire a car – Reykjavik is wonderful, but so is the countryside around it. There are so many fabulous places to explore, you need a car to see them. We hired our car before we arrived and got a bit of a bargain. We used Procar – only £30 per day for a small, compact car that was perfect for 3 days of driving. Gravel insurance is a must – road surfaces are not that great in a lot of places outside Reykjavik – better safe than sorry. Driving in Iceland is liberating and fantastic. Empty roads, looming mountain peaks, lava as far as the eye can see, black lunar landscape – what more could you want. Frequent stops are essential – just to soak it all in (and take hundreds of photos!). We had a week in Iceland – 4 days in Reykjavik walking and sightseeing, then 3 days with a hire car was the perfect mix for us.